Iain Donnell is an experienced criminal defence lawyer that can help you navigate complex criminal and quasi-criminal legal situations. Once retained as your counsel, Iain dedicates himself to your case and works towards achieving the best outcome for you. He will guide and advise you through every step of the process and strives to ease his clients minds in a difficult and stressful period of their lives. Protect you rights, freedom and future. If charged in Newmarket, Ontario or anywhere in York Region – Remain silent and contact Iain Donnell. Iain’s practice is largely focused on criminal law. He is also well regarded for his work in human rights, civil litigation, and municipal litigation. Iain has extensive trial experience and regularly appears before the Ontario and Superior Court of Justice throughout all of southern Ontario. + Principal and Managing Partner, Donnell Law Group. Your best defence is to hire a lawyer with extensive experience in criminal law and how the Ontario court system operates. 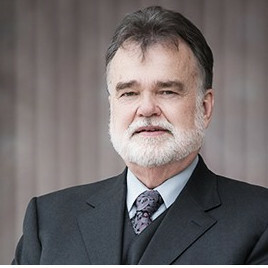 Iain Donnell has the proven skill and knowledge that you require to represent you in any Ontario criminal court and defend against any criminal code charge. From the earliest stages of preparation right through to the actual trial, we will support you and fight for your rights. Our firm handles all stages of the criminal process including trials and appeals of serious criminal charges. Our commitment to you is a zealous, fully invested, defence to achieve the most favorable results we can given the evidence against you and other case circumstances. Criminally charged in Newmarket or anywhere in York Region or Simcoe County? Speak with Iain Donnell immediately. Call: 647-497-7967.